Each year we plan many different trips. Some are just day trips (we try to have as many of these on the weekends as possible). Never put off until Saturday night, what you can do on Friday night, because if you try it, and you like it, you can do it again on Saturday night ! For all the first years this is the weekend that changes college forever! Every October/November, the club takes a trip up north, for a bit of messing, a lot of drinking and some wanton self destruction. There's alcohol, dancing, caffeine robots, bleary eyes and sometimes a bit of kayaking! This is the Weekend trip where we do battle with all the other colleges around Ireland. Sounds serious, Its not. Best craic ever. We usually go to lanhinch more than once a year, but in mid to late march we have a weekend trip. Last year we spent one night camping and then stayed in a hostel the following night. Every year or two. the club travels to the Italian and French Alps - sometimes making a quick stop in Slovenia. In previous years, the club has also gone on trips to Wales, Scotland and Nottingham. Many members also make it to the Alps, Canada, Africa and England kayaking each summer. One cannot fully convey the Kerry experience on paper. Ask any past member (aka. OFB's) about it, and watch them rave endlessly on about it. 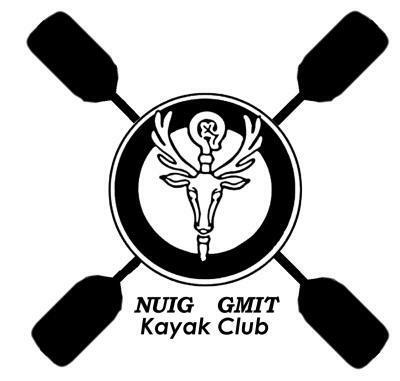 These days the club meets up with the other university kayak clubs at new years, for mad partying, great kayaking, and a bit of playful stealing.